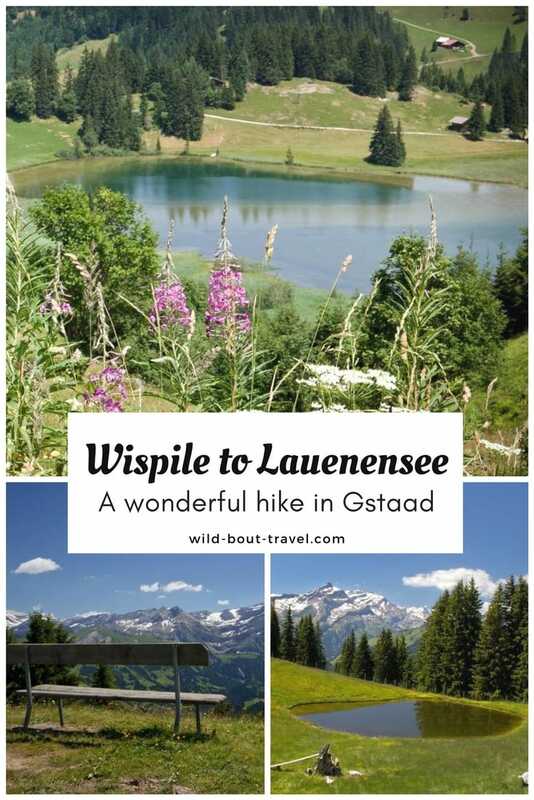 17 Jul Wispile to Lauenensee: The Best Hike in Gstaad? 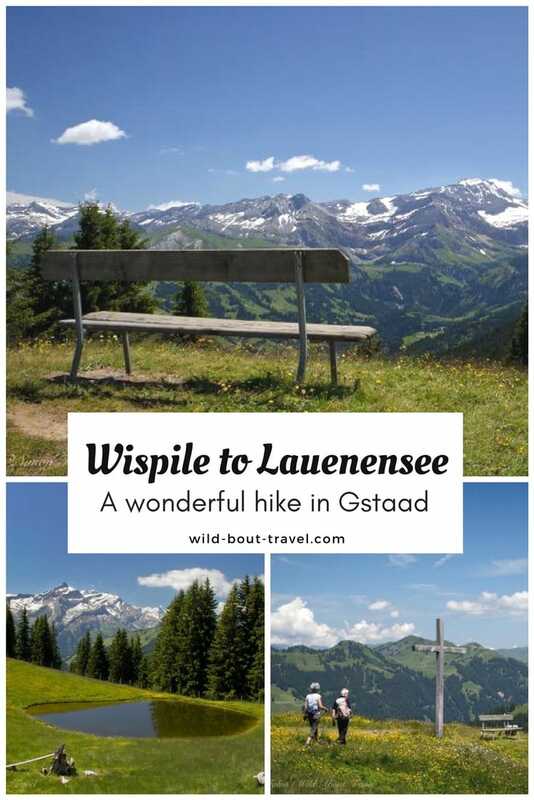 Having decided to spend a good part of Spring and Summer near Gstaad (after a wonderful week this past winter skiing with my disabled nephew) and the Saanenland, I got plenty of time to explore new hiking trails in the region. 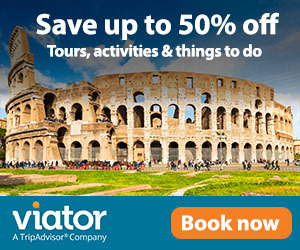 Thankfully, several cable cars are open during the Summer season and this means more possibilities having the chance to skip a climb up or down, and being able to choose between different trails. 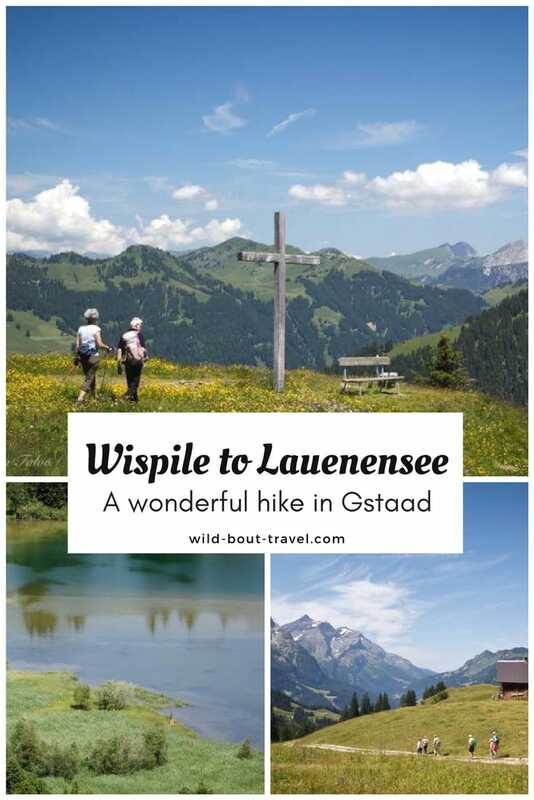 For some unexplainable reason, I had never been up to the Wispile (except when I had my first thrilling paragliding experience) nor had I considered it as a good starting point for a walk with nice views. As soon as I stepped down the cable car, a glimpse was enough to know how much I had missed till then. Even before starting to walk, I stopped for a coffee on the mountain hut’s lovely terrace overlooking a little pond and the goats with their puppies grazing peacefully. 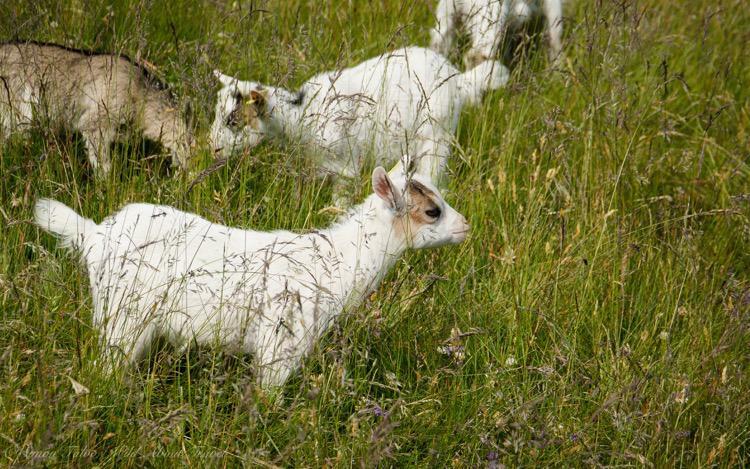 I grabbed my hiking poles, ready to start the 3 hours walk to Lauenensee (Lauenen Lake), after a first compulsory stop to take a few pictures of the cute goats. 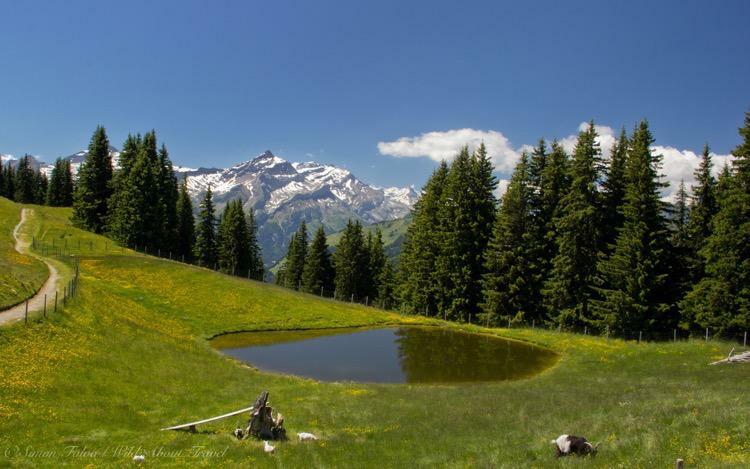 The first part of the trail follows the ridge, amid meadows dotted with colorful flowers and surrounded by the mountain scenery. 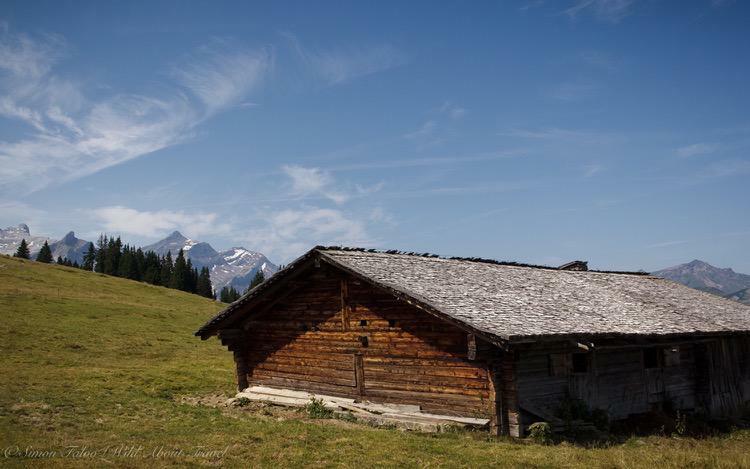 Grey and silver rocky walls, dark green forests and the white Glacier des Diablerets make for a stunning contrast. 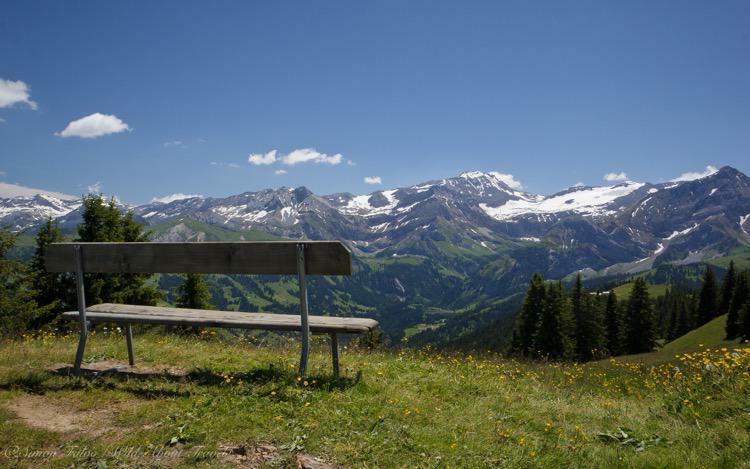 Here and there, pretty wooden benches invite for a rest and to take in the beautiful view, but I decide to walk a little longer before making a pause. After a while, having almost reached the end of the ridge, the trail descends through a lovely forest. I welcome the change, not only for the prettiness but also because it’s a very hot day and I crave for shade. 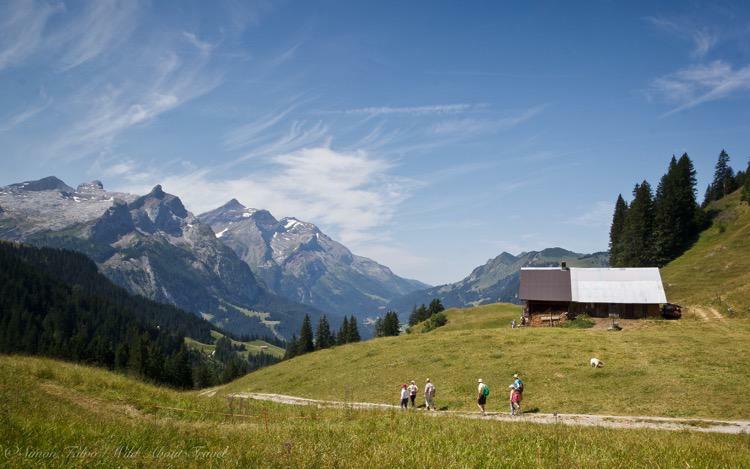 The trail in the forest ends up in a large pasture offering superb views of the mountains. From here, the path on the right leads to Gsteig and the one on the left to Lauenensee. The sun is at the zenith when I slowly start to climb up to the point overlooking the Lauenen valley, and I wish I had started even earlier. I know from the map and the signs that the ascent is not too long and once on the top I feel relieved. 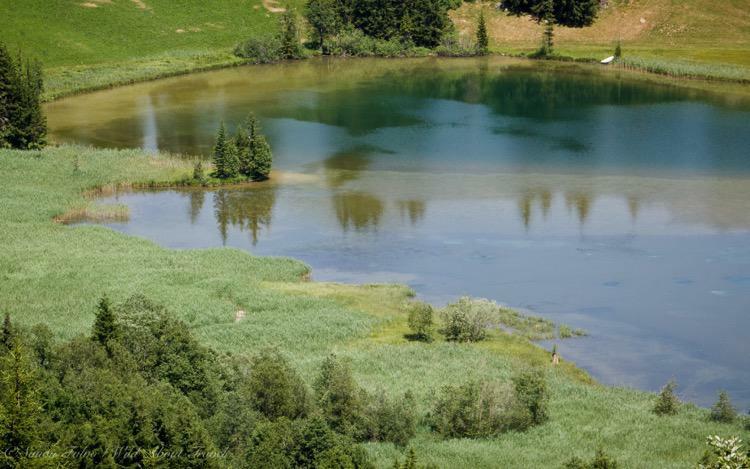 The view from up there is awesome, and after a few minutes along the descent, I glimpse Lake Lauenen and its shades of green and blue. 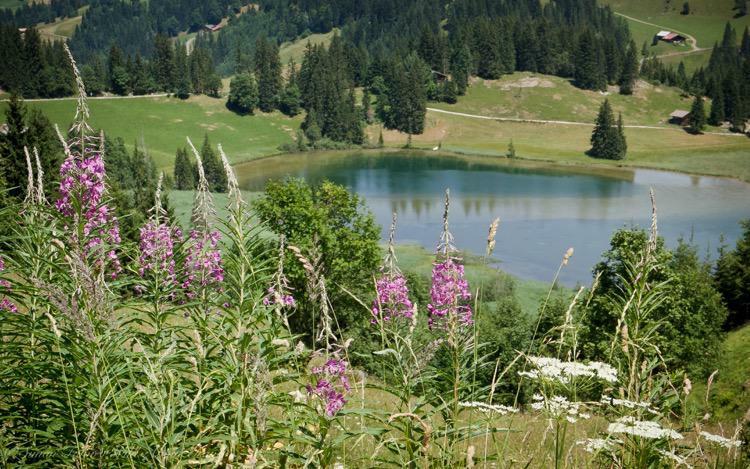 Along the descent, the lake plays hide and seek, every time reappearing in a different and always lovely fashion: with pink and white flowers on the foreground, or showing the reeds at one of the edges. A final effort and I reach the lakeshore, where families are sitting under the trees, having a picnic or enjoying a barbecue. A few kids jump in the water from the wooden jetty and happily swim in the refreshing water. I head toward the restaurant overlooking the lake, sit on the terrace and sip a cold, refreshing beer. 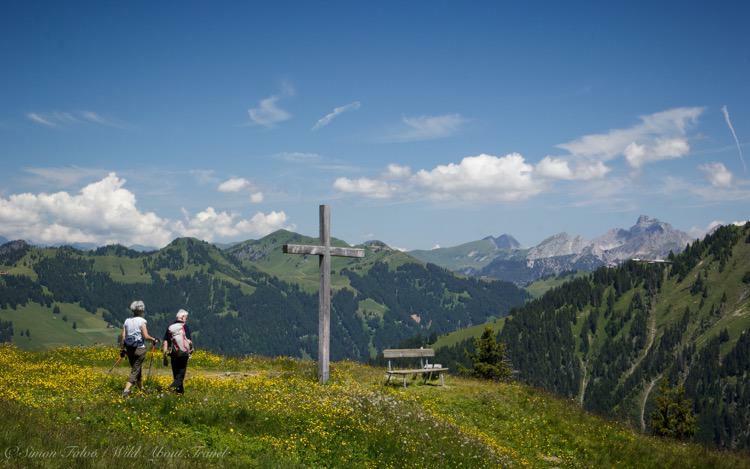 As I rest, I mentally travel through the trail again and wonder… is this the best hike in Gstaad? For sure, so far it’s my favorite, with a couple more in the area: the hike from Col du Pillon to enchanting Arnensee and the long walk from the top of Rellerli to Sparenmoos.